Windows can be docked to the main window or left floating on the desktop. Or configured to automatically hide themselves when not in use, giving you more space to browse. 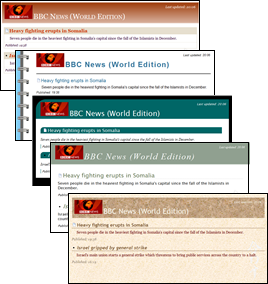 Create your own toolbars, customize the menus and define your own keyboard shortcuts for the fastest possible browsing. Many different styles are provided for your channels and it's easy to write more of your own. 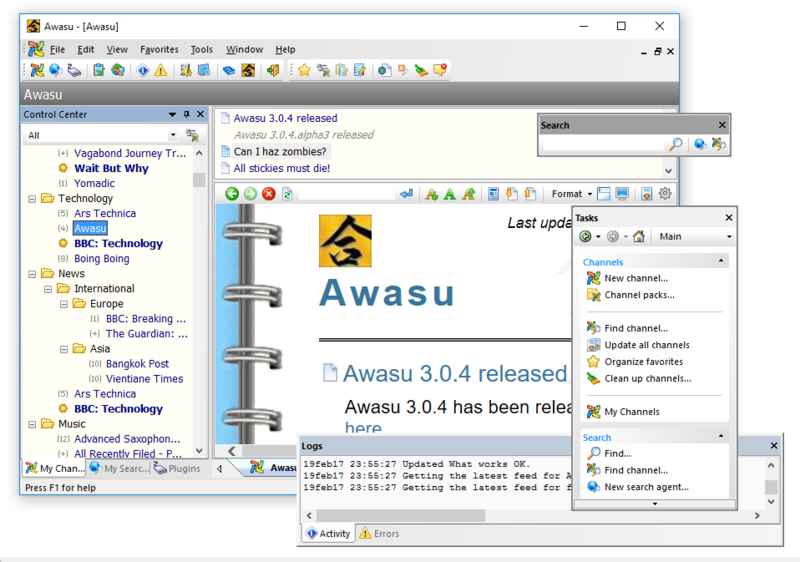 It's easy to set up Awasu to look the way you want and work the way that's best for you. Handles incredibly well. 4 stars out of 5. Your support is the best I've experienced with any other software company. Amazing! 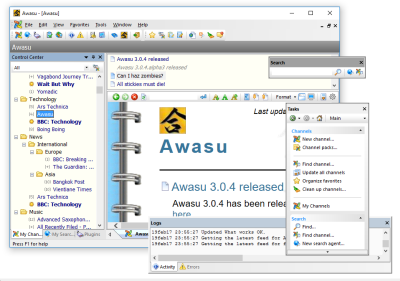 I love using Awasu ... It's the best rss aggregator that I have found. Your customer service is really amazing.